Our recently established Wellness Center is located within the Pomegranate Wellness Spa Hotel considered to be the best spa hotel in Halkidiki. 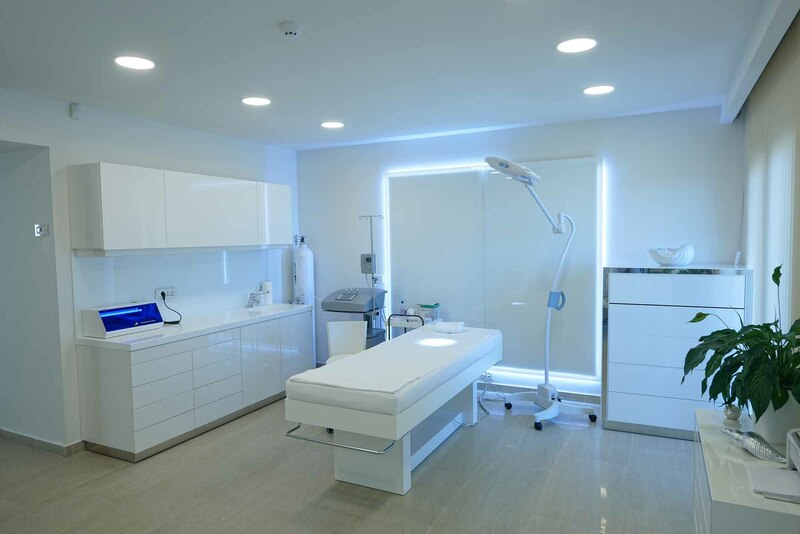 This specialty wellness center, unique throughout Greece, specializes in providing individual care and attention with a personal touch. By definition, “wellness is the active process of becoming aware of and making choices toward a healthy and fulfilling life”. Here at Pomegranate we put these words into practice. At this exclusive Halkidiki Spa resort, we go beyond “conventional” and trendy spa facilities, by offering unique spa holidays with a range of methodically prepared programs for Detox, Weigh Loss, Relaxation & Stress Management, Antiaging as well as non-invasive lifting. A collection of innovative facial and body therapies combining the latest technology in aesthetic equipment, manual techniques and professional personnel. It combines five modern technologies, which compose an integrated system of cellulite prevention and treatment and improve body image. Synergistic effect of radio frequencies and negative pressure that activate lipolysis processes, affect the texture and quality of the skin by improving the body line. Lymphatic drainage with suction rollers (intradermally) in combination with manual massage. Type of whirlpool bath that improves the functioning of circulatory and lymphatic system. It gives a unique sense of toning and wellness. Treatment with acoustic waves, which activates the process of lipolysis, increases skin firmness and a “ must” in treatments for reducing cellulite and localised fat. A modern method of thermotherapy, which accelerates metabolism, helps eliminate toxins and leads to weight loss. Method of lymphatic massage, which improves blood and lymphatic circulation. It reduces swelling and felling of heaviness in the legs. It is a physiotherapy hydrotherapy system, which creates ideal conditions for relaxation, rejuvenation and wellness feeling. It gives a deep sense of relaxation of the muscles and the nervous system and allows restoration of physical strength and mental balance. Innovative facial rejuvenation technology, combining negative pressure, non-crystalline exfoliation removing dead skin cells and using various serums. Combination of micro-dermabrasion with diamond heads and moisturising facial mask. It offers a fresh and young-looking skin. This is a physiotherapy method that accelerates regeneration and renewal of skin structure, restores muscle tone by using low intensity electric waves and offers a lifting effect. The use of RF technology in facial treatments activates fibroblasts producing collagen and elastin and has an impressive facelift effect. Lymphatic facial massage that improves oxygenation of the skin and lymph circulation, reducing swelling and the appearance of wrinkles. Synergistic effect of radio frequencies and negative pressure on the chin. They activate lipolysis improving the shape of the face. This unique Mediterranean Spa, located just off the Kassandra peninsula, at one of Halkidiki’s prime locations can accommodate its guests in its exclusive range of 172 rooms & suites, ranging from 30 and up to 167 square meters in size. This Halkidiki Spa resort has it all: Amazing landscaped gardens with gorgeous Mediterranean flora; big outdoor and indoor lagoon style swimming pools with seawater and hydro massage jets, numerous relaxation areas, a Spa & Wellness area covering more than 1800 sq. m. with a complete hydrotherapy pebble path, two indoor swimming pools, wet & dry Spa capsules, various saunas, seven private treatment rooms, a VIP treatment suite for couples, medical and consultation rooms as well as waiting and relaxation areas. In this luxury spa center we strive to initiate our guests into caring more for their body and health condition, through a combination of assessments and personalized programs. We practice advanced western as well as alternative (homeopathy) medicine using the latest best practices and equipment, supported by a healthy diet that helps re-establish a harmonious balance between body, mind and spirit. So next time you visit this amazing Halkidiki spa resort for your holidays or you decide to stopover as a day spa visitor, allow us to present you our extensive range of wellness programs and discover for yourself what makes Pomegranate Wellness Spa hotel the top wellness destination in Greece. Plan your vacations today and look forward to a memorable wellness experience. The Pomegranate Spa hotel is considered as the best Spa hotel in Halkidiki as well as one of the leading Mediterranean Spa retreats.